For a while now, I’ve realized that there is a massive gap in the continuity of smartphone display history. 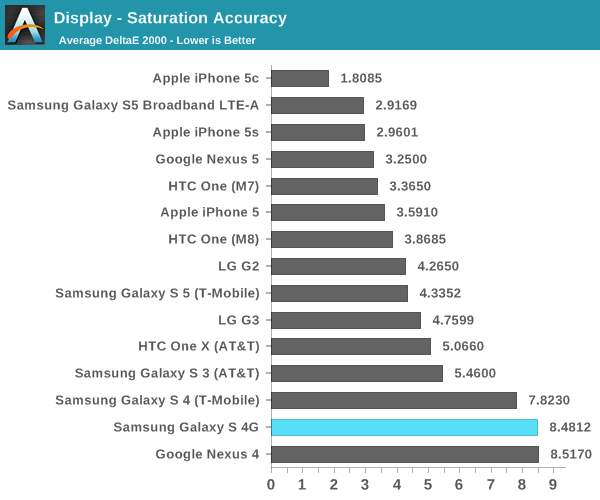 Until the last few months of 2011 or early 2012, proper testing of smartphone displays was few and far between. 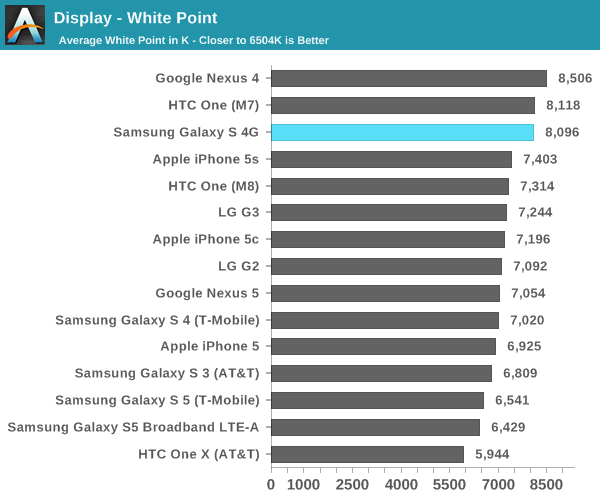 Most websites tested peak brightness and contrast, and possibly white point. While some websites did go in depth, they would often only test a few phones. Of course, now things are different. Websites are starting to scrutinize display quality from all angles from color accuracy to reflectance, but no one has ever gone back to properly test old devices. Of course, the best time to have tested these old devices was when they were new. The next best time is now, so let’s get to it. Unfortunately in the span of 4 years it’s become rather difficult to find all the devices that I’d like, but we’ll look at some of the key representative devices of each generation. This means the Galaxy S, Desire HD, Galaxy S2, and Rezound. The first three are all WVGA, 800x480 resolution displays. 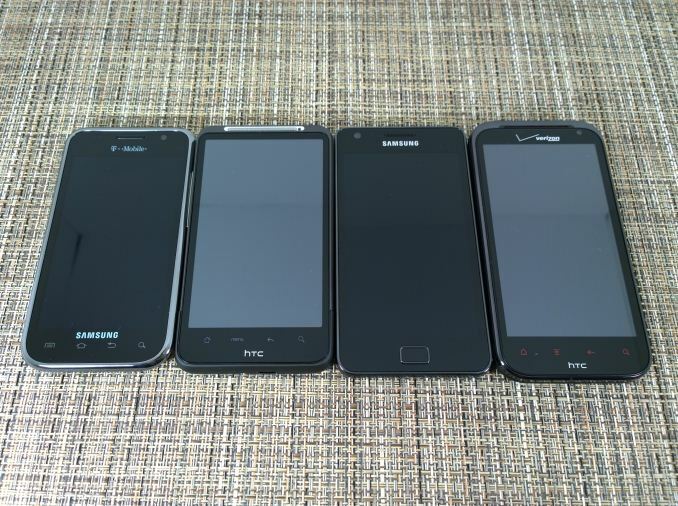 The Galaxy S has a 4 inch display, and all the other devices have a 4.3” display. All of them are also easily used with one hand, which is almost a surprise these days. Unfortunately, battery life testing won't be possible as all of the devices have aged too much for the results to be representative of their actual performance. As always, in order to properly test displays we use a custom workflow on SpectraCal's CalMAN 5. For most people, the Galaxy S would be their first encounter with Samsung’s SAMOLED displays and PenTile layouts. While it may have been acceptable at some point in the past, it’s quite obvious that this display hasn’t aged well at all. While high pixel density masks the effects of PenTile quite well, they’re omnipresent in the original Galaxy S. Even at relatively far distances from the display I can make out gaps between pixels in text. At the edges, there’s a strange effect where the lines are clearly not straight. Instead, the edges of text appear to be quite rough, making a zig zag pattern instead of a clean line. Putting aside PenTile, the brightness of this display has aged relatively well. The expected brightness seems to be about 350 nits out of the box, and the T-Mobile unit I tested seemed to have lost some of its peak brightness, but it’s still quite bright at around 320 nits. Contrast is great as always here. Grayscale is where things get ugly. Red is effectively no longer visible in the graph by 35% white, and both green and blue are completely out of control. The result is one of the worst averages for dE2000 error I’ve ever recorded. In the saturation sweep, we see a similar story. Just about every type of mistake in color accuracy is seen here. Extreme blue/green shift on white, saturation compression, gamut far out of sRGB, hue shifts with saturation changes, and no way to improve it. As expected, a similar result is seen in the Gretag Macbeth ColorChecker. This is simply a logical extension of poor color control in the saturations test, so this is no surprise. 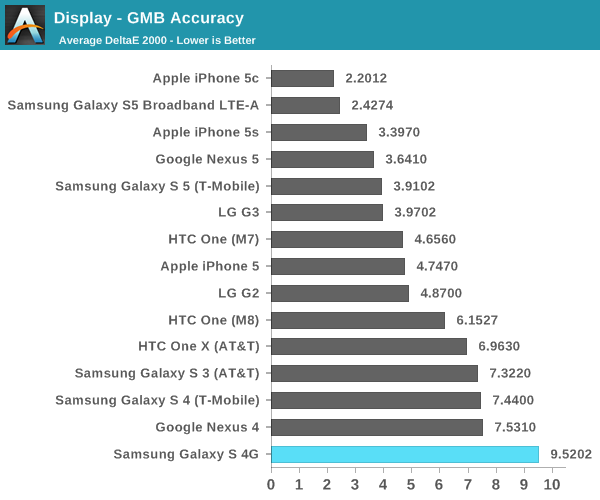 Looking at the Galaxy S5 LTE-A, it’s definitely incredible to see just how far Samsung has come since the early days of AMOLED technology. Did not know LG G3 had such a terrible contrast. 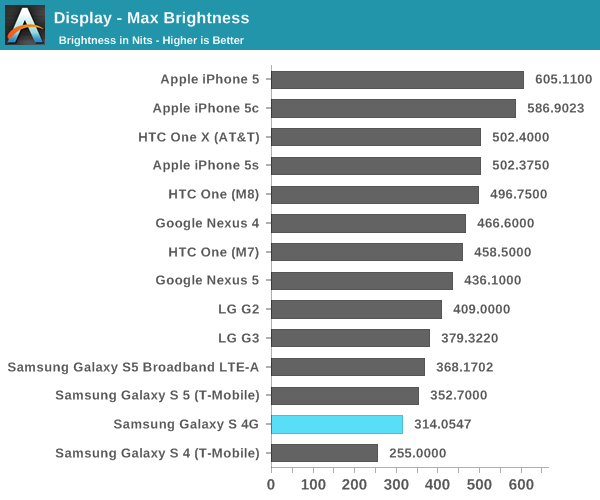 I witnessed that in the store also, with the screen looking too cold and low contrast compared to competition from HTC, Samsung and even the LG G2. Wonder if it's a consequence of 4K panels just not being up to par yet. If so, seems like an odd inclusion, because the display also has negative draw backs in terms of power draw and battery life. 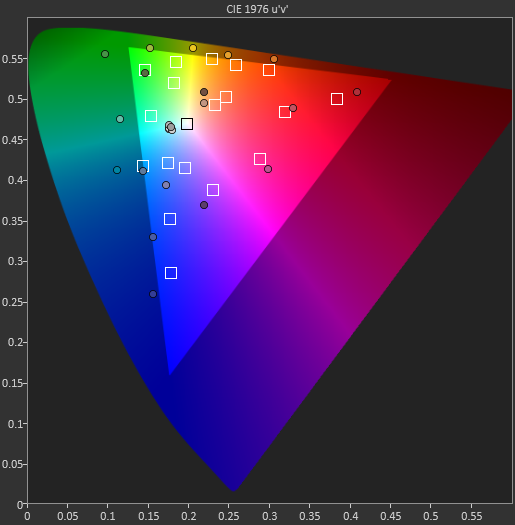 One thing I've noticed with the LG displays (notably my Nexus 5) is that the blacks brighten up even if you're slightly off the central axis. By the time you're at 85 degrees (looking at it almost on edge), a black LG screen is almost as bright as a white screen. 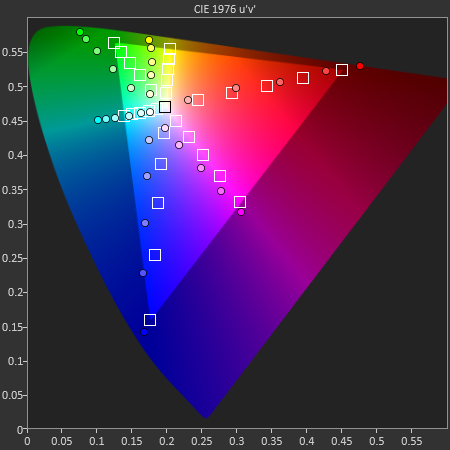 Since most colorimeters measure at close to 90 degrees from the screen, the real-life contrast ratio when you're using the phone at about 60 or 45 degrees is actually much worse than measured. While not impossible, I'd be amazed if google went with lg for a third year in a row. Me too. My N5 is plenty fast enough and battery life is good. Even the camera has become far better over the course of updates.